The Cirque Berserk was without a doubt a fantastic show! It was in my opinion a circus for the 21st century. It is very hard to put into words how fantastic the show was. I took my two girls (Harmony, 13 and Faith, 11) and my sister (Ellen, 19). We all thoroughly enjoyed the show and being taken back stage was a personal delight. We absolutely loved meeting the motor bike guys who were nice and friendly and they informed us back stage all about the bikes. Our best bit of the show had to be the legendary motorcycle globe of terror. The dancers who appeared all through-out the show, and we have to mention the hilarious guy with the pink spiky hair who was simply amazing. Another honourable mention by my sister Ellen was when he walked the rope but for me it had to be when he was on the ladder. Both were an incredible mix of showmanship and excitement that we all enjoyed. I really can't wait for when The Cirque Berserk come to my area (Peckham Rye Common) as I would love to see them again with the whole family so we can all thoroughly enjoy the excitement that comes with this incredible show. I would suggest that this show would suite ages of 8-108, as I feel there were a few scary bits for the younger kids. Although this is a short review, you really must go and see why it's so hard to put into words, over all WOWIE great show, enjoyed it soo much !! 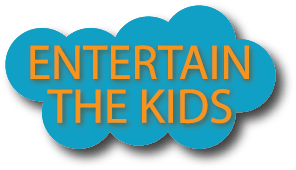 Thank you JonB for sharing your experience with the followers of Entertain the Kids.